Click on this photo to read an article about us! Click on this photo to see a student demonstration! Click on this photo to watch Master Marr's fundraising demonstration! Click on this photo to read our student reviews on Facebook! 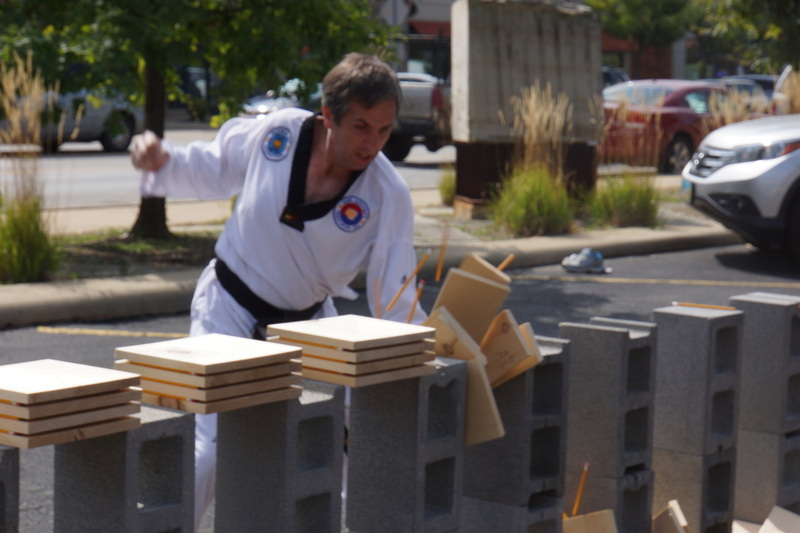 Master Marr's Taekwon-do (MMTKD) opened in the Cleveland suburb of Shaker Heights, Ohio in March 2014, and has recently moved to a much larger space. Now with almost 3000 square feet of mat space, MMTKD offers a premium training area for beginners and masters alike in a convenient location across from the Shaker Town Centre shopping plaza. MMTKD is run by husband-and-wife team, Master James Marr, 7th degree Black Belt and Master Elaine Bayless, 5th degree Black Belt. 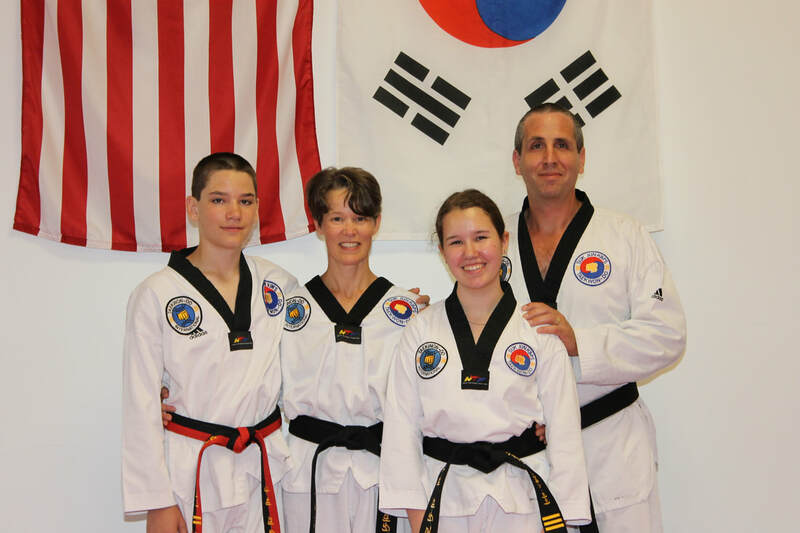 They opened their first school, Glen Ridge Taekwon-do, in New Jersey in 2002, which continues to thrive, now under the leadership of Masters John Meany and Laura Giletti. 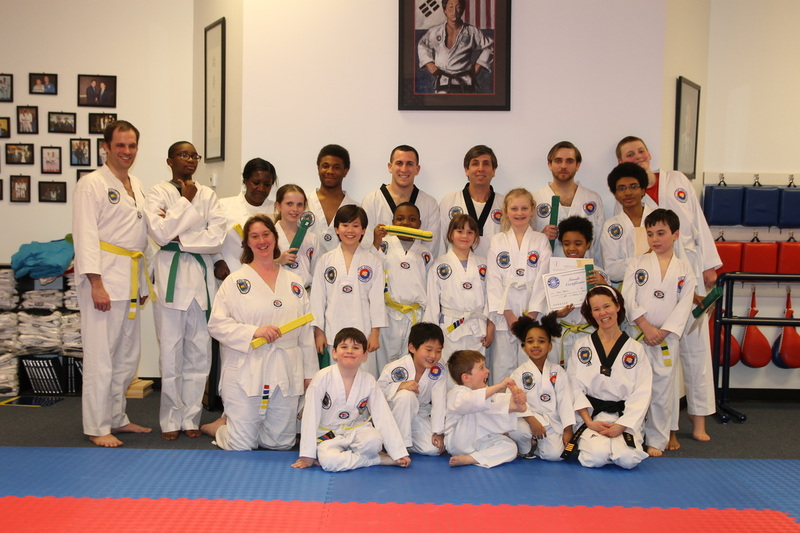 All classes at MMTKD are taught by Master Marr and Master Bayless. Both studied extensively with Grandmaster Suk Jun Kim, 9th Dan, a direct disciple of Taekwon-do's founder, General Choi Hong Hi, and both continue their training through Taekwon-do International, a union of professional Taekwon-do schools united under the leadership of Grandmaster Kim. Master Marr also serves as Secretary General of Taekwon-do International. MMTKD offers classes in original traditional Taekwon-do for adults and children, ages 5 and older (see our Class Schedule). Beginners and experienced martial artists are welcome. All that is required is a desire to learn. Taekwon-do is an unarmed method of self-defense developed in Korea (See History of Taekwon-do to learn more). Taekwon-do is not only a way of kicking and punching, but a way of thinking and living. The goal of Taekwon-do is complete control of one's mind and body through continuous training. MMTKD offers students the chance to challenge themselves and push their own limits, while enjoying the support and camaraderie of training with others. MMTKD has received endorsements from the Mayor of Shaker Heights for its business practices, from the parenting blog, Macaroni Kid, for its appeal to families, and from dozens of happy students (read independent reviews on Facebook and Google). 8) OPEN COMMUNICATION. Masters Marr and Bayless are always available to answer questions. Students and parents stay informed of special events and other dojang news through our website, Facebook page, Instagram, bulletin board, and emails. Call 216-921-KICK to get started.